The Department invites applications and enquireis for faculty positions at all levels and in all areas in Computer Science. Applications for sabbatical/short-term visits are also welcome. Applicants must have a Ph.D. in Computer Science or related areas and should show evidence of exceptional research promise. We particularly welcome candidates who would thrive in a highly collaborative environment in which projects often span several research groups. CSE, IIT Bombay now has more students per graduate batch than per undergraduate batch. All graduate students admitted through the main selection process are guranteed teaching assistantships for the entire duration of their programs here, including summers (two years for M. Tech. and four years for Ph. D.). The graduate degree (M. Tech.) is a two-year program with the second year almost entirely devoted to the Masters thesis work. Recently, the Computer Science department started offering a "Dual Degree", which allows a student to work for almost two and half years on a project - enough time to do some significant research. Increase in incentives for joining the Ph.D. program, such as well-paying fellowships and funding for conference travel, has resulted in attracting more Ph. D. students to the department. The CSE department and the institute, offer an environment conducive to research, e.g. The opportunity to build your own infrastructure and associated research program in the Graduate Research Labs. Funding for travel to international conferences. An excellent central library, with a generous book allowance to the department, and subscription to all major on-line technical resources. In addition to this, it is possible to raise grant money for research through various government and industry sources. Government agencies invite proposals all year round, and are generally keen to grant funding in various thrust areas. Several Bangalore and Pune based technology companies fund exciting research projects at IIT Bombay (see Funded Projects). IIT Bombay's most significant advantage in this respect is, again, it's location - Mumbai is very well-connected to Bangalore and Pune. On-campus housing and free high-speed LAN connection at home. Telephone bill re-imbursement, and credit card annual fee re-imbursement. Consulting: Faculty are allowed to earn additional personal income by offering their expert services to industry clients. IIT Bombay's IRCC (Industrial Research and Consultancy Centre) facilitates this activity. Faculty members can spend two days a week in consulting activity. Benefits are subject to availability and other conditions. The above reflects typical benefits enjoyed by most faculty members, however, all final decisions are made by the corresponding authorities. 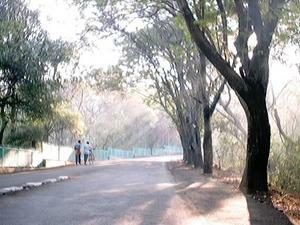 Living on the IIT Bombay campus offers an absolutely unbeatable combination of opportunities - that of living in a city that is the financial, business, and entertainment hub of India, while still enjoying the peace and quiet of a lush green campus nestled between a lake and rolling hills. The campus has all amenities needed for a high quality of living - green, tree-filled and pollution-free surroundings, children's park, swimming pool and tennis courts. There is an on-campus creche (day-care centre), and two schools. A special note should also be made of the fact that IIT Bombay housing has highly reliable power and water supply. The campus is vibrant with student-led cultural activities throughout the year. Faculty gets free, premium seating at professional performances during the main cultural festival (Mood Indigo), as well as at the enthralling Performance Arts Functions (student performances). There are additional cultural events (music, dance, theater, movies) throughout the year in the various campus auditoriums. The campus community is a warm, friendly community of IIT Bombay faculty, staff and students that comes together for events such as Holi and Diwali. The CSE department itself has informal get-togethers, such as faculty picnics and dinners, and faculty-student cricket matches. If you do step out of the campus, the most energetic city of India invites you to explore it. Local transportation in Mumbai is "legendary", and an impressive network of buses and trains takes you to every corner of the city. 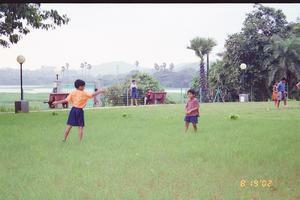 IIT Bombay is a 45-minute train ride away from various interesting downtown areas which make for fun day trips. Trekking in the nearby Sahyadris is also a favourite weekend activity of Mumbai-ites (and IITB students) and faculty have several opportunites of joining the students on such treks. Additionally, if you have family somewhere else in India, there is no city as well connected to the rest of country as Mumbai. Lastly, international travel is convenient since all major international airlines have daily flights in and out of Mumbai.